5 reasons why you should trade with a mentor. When I first discovered Forex trading back in 2006 I was excited to go in alone and create my own strategy. I wanted to trade my own way and just be my own boss with my own ideas. Sadly while I had all this enthusiasm I really had no idea what I was doing. And while I purchased several ready-made strategies online and followed people on forums the real difference happened to me when I actually started to work with a mentor - A real trader. It made a massive difference that I could actually see in a Live trading room how my mentor trades in a Live market. Here are 5 reasons why you should trade with a mentor. Mentors provide information and knowledge - You can tap into a wealth of knowledge straightaway and make a massive shortcut to your learning curve. Mentors can see where you need to improve where you often cannot - We often ‘know best’ for ourselves but having someone else actually looking at your trading can find hidden mistakes you will never find by yourself. Mentors offer encouragement and help us going forward - We all know how hard trading is. And it is even tougher when you’re on your own. Mentor will push you forward and offer encouragement when you are down and need it most. Mentors can be connectors - If you do well mentor will back you up and can connect you with amazing opportunities. If you’re wondering who is my mentor? 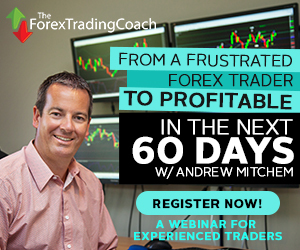 😊 It's none other than 5-star reviewed Andrew Mitchem - The Forex trading coach. If you’re serious about your trading I can’t recommend him highly enough. Also if you trade with my robots you will recognize one of his trading strategies from Satoshi robot. My robot Satoshi was built based on the strategy I learned from Andrew so taking his course will help you to understand all the details how our best performing robot Satoshi trades. You can check out Andrew’s page below.